Tangipahoa Parish Sheriff Daniel Edwards has increased the reward for information leading to an arrest for the killings to $10,000. Two people are dead, including a 13-year-old boy, after a double murder in Tangipahoa Parish Sunday night. According to the Tangipahoa Parish Sheriff's Office, the murder happened in a home near Fontana Road and Labruzza Lane in Independence, La. A 45-year-old woman and 13-year-old boy were killed. Family members told Eyewitness News the two victims were mother and son, identified as Daytra Miller, 45, and Robert West II, 13, according to an Advocate report. 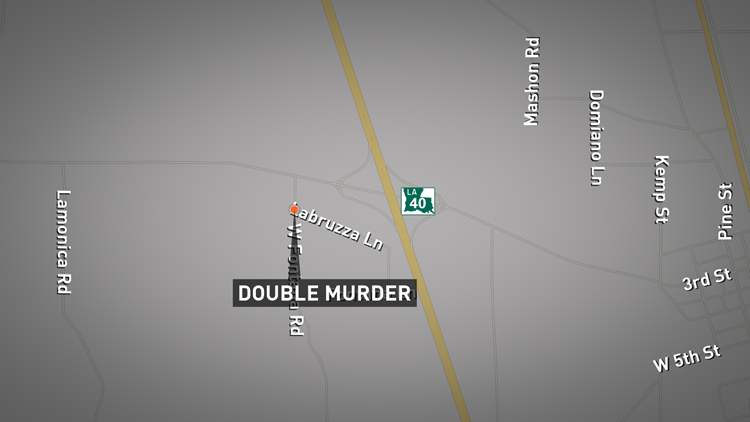 According to the Tangipahoa Parish Sheriff's Office, the double murder happened near Fontana Road and Labruzza Lane in Independence, La. Investigators say they believe the offender knew the two victims that were killed. The sheriff's office did not release any additional details at this time. "Unfortunately at this time, all we can do is report the incident and report that it is being actively investigated," a statement from the TPSO said. "Additional information will be released as it becomes available as long as it does not jeopardize the case." Tangipahoa Parish Sheriff Daniel Edwards is offering a $2,500.00 reward for information leading to an arrest in the investigation into the murders of a mother and son. "One thing we do know is that there are people out there who have information about these murders. We want that information or anything that will lead us in the direction of the shooter(s)," Edwards said. Anyone with information is asked to contact Crimestoppers at 504-554-5254. The double murder was not the only deadly incident in Tangipahoa Parish Sunday night. TPSO said a 50-year-old man died after he was shot outside a business in Amite.